Sound Dimension’s rocksteady instrumental “Real Rock” is a particularly robust riddim featuring a rumbling bass line and a very tight drum sound over which a trombone plays the melody line occasionally aided by some simple but effective fills. It remains a classic recording. 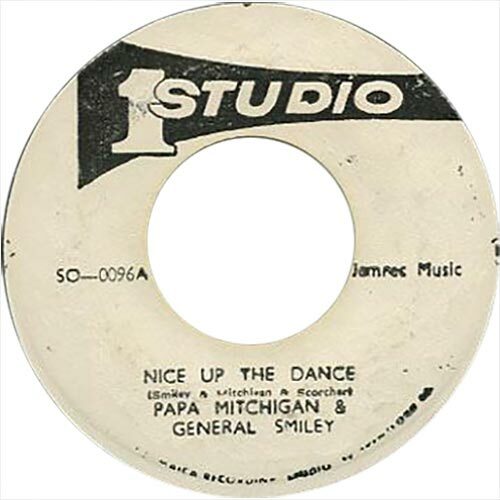 The next cut was a nice toast from Dillinger, “Fountain On The Mountain”, after which several percussion overdubs were added for Michigan & Smiley’s big hit “Nice Up The Dance”. 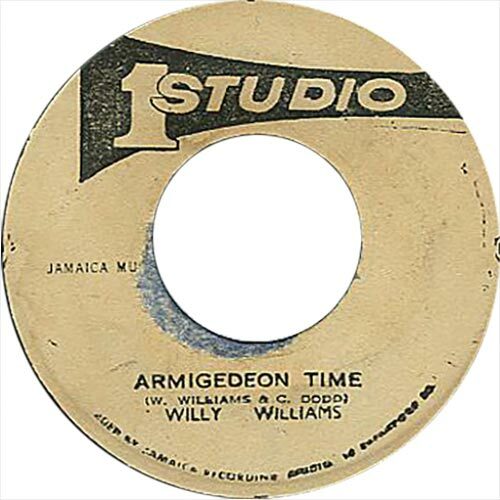 A similar mix of the riddim was also used for Willi Williams’ big hit “Armagideon Time”, whose lyrics seemed to strike a chord for many people. The discomix version of “Armagideon Time” features a keyboard overdub playing the “Peanut Vendor” melody. This was followed by deejay cuts from Windel Haye, Lone Ranger and Mikey Jarrett, all of which feature overdubs and remixes, but the riddim was left in its original form for the next release, Johnny Osbourne’s “Lend Me Your Sixteen”, and stronger because of that. Outside Studio One this riddim has been used for over one hundred different recordings, and has never stopped being used. One of the first people to re-use the riddim was Lee Perry who recorded an excellent version with trombonist Rico Rodriguez for the “Musical Bones” album, which appeared without any label or sleeve details. 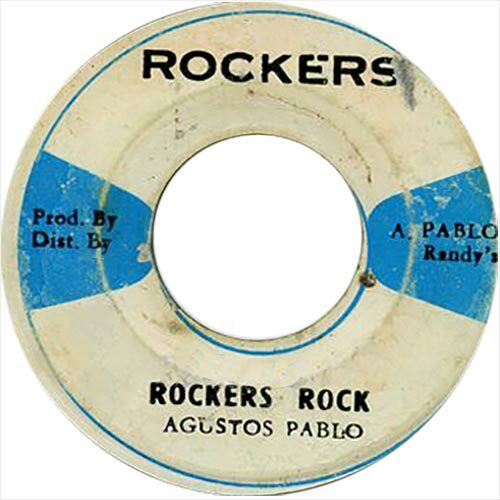 Augustus Pablo used the riddim for “Rockers Rock”. A great version featuring excellent melodica and piano work from Pablo himself. 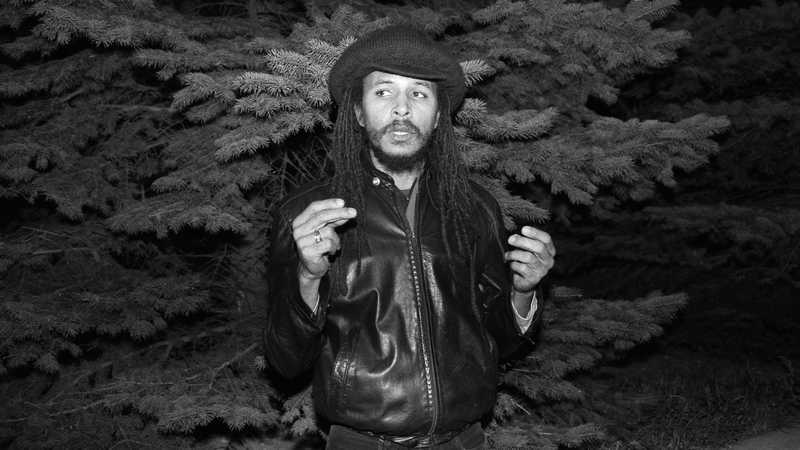 Pablo used the riddim for several further cuts including several instrumentals, a deejay version, and Hugh Mundell’s “One Aim, One Jah, One Destiny”. Another great early recording of the riddim is the Morwells’ “I Nah Want Dey Yah”, which is a typical roots offering from the group. In the early ’80s Lloyd ‘Bullwackie’ Barnes recorded an excellent cut of the riddim on which he gets a sound that is all his own. This version is more laid back than most cuts, but has a crispness and swing that makes it irresistible. Two great recordings that use this version of the riddim are Sugar Minott’s “Wicked A Go Feel It” and Jah Batta’s “Mi Black”. Both Bunny Lee and King Jammy have issued albums with one side of cuts to the riddim, and Steely & Clevie have issued a whole album on the riddim, “Real Rock Style”.